We have the experienced, discreet and properly trained and uniformed drivers to meet all your executive transportation demands with excellence. Our receptive team and monolingual and bilingual drivers are always ready to attend executives of different nationalities, always cherishing punctuality, efficiency, comfort and safety. 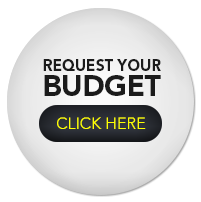 Make a budget and come to Royal. Royal creates daily solutions to facilitate your day to day comfort and total security for any route or event. Our fleet of armored vehicles has the models most suited to their needs, both in relation to the level of protection, as well as the control and practicality. We have all the requirements and legal authorizations to prove the shield, in addition to only performing the shielding in companies recognized, certified and approved by regulatory bodies. When it comes to transportation logistics for events, congresses and fairs, Royal comes out ahead with the most modern and intelligent options of vehicles and routes, all combined with great quality and punctuality. With extensive experience in the receptive and transportation market, we have been able to offer the best cost-benefit for groups of executives in business trips, corporate road shows, groups, conventions, social events, sports, entertainment, fairs, being small, medium and large. All our vehicles are screened 24 hours and with highly qualified drivers, come to Royal and be surprised! With a vast experience in attending authorities, diplomatic corps, foreign executives, tourists, artists, athletes, children and speakers, Royal offers a high standard and bilingual reception in all private or public terminals. Our professional accompaniment begins with the arrival of the executive and only ends with his final destination, so we can ensure the total satisfaction of our customers. Remembering that a professional reception is critical to the contribution of your company’s image. Based on all the experience gained through years of work, Royal operates in the corporate travel and incentive market, offering the right solutions for the best optimization of time and expenses for your company, with airfare, lodging, leases and everything that involves business tourism. Whether for national or international territory, with Royal you have all the organizational infrastructure in exclusive trips, events, fairs, congresses and meetings. We offer our visitors a wide variety of tourist attractions and customized tours for various group options. With a wide choice of cars, vans, buses and buses comfortable and safe, our city tour can count on the option of bilingual service duly registered in the Ministry of Tourism. Get to know the history of the cities passing through the sights with stops for visitation, photographs and explanations about each monument and curiosities of the chosen city. With Royal you are guaranteed a fun, safe and comfortable ride. Make your trip practical, agile and safe. Whether you are traveling from the airport to the hotel, your event residence, your business or meeting office, no matter where you depart or destination, from one point to the other, always count on the Royal transfer. The best way with transportation logistics studied, economical and intelligent you can only find here. Transfer of executives to airports with option of cars, vans, minibuses and buses, all with drivers qualified for a service of excellence. With Royal you arrive on time with all the comfort and attention you need.